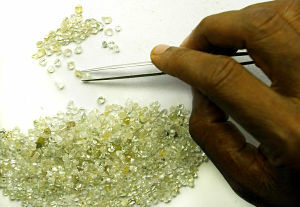 Britain's Standard Chartered Bank is caught in the middle of an increasingly bitter feud between the Sierra Leone government and the heavily-indebted Octéa Limited, owner of the country’s biggest diamond mine at Koidu. After tense and unsuccessful talks in London starting on 16 November, Freetown officials called on Octéa, which owes about US$150 million in total, to impose a standstill at Koidu for 90 days, pending a detailed technical and financial assessment. Mining operations continue for now but officials said they feared that short-term actions by the company could endanger the mine's future. An early winner in the diplomatic gamesmanship around the COP21 Climate Change Conference in Paris, where 150 world leaders gathered this week, is China. Environmental degradation and fossil fuel pollution have become physical dangers for hundreds of millions of people in its mega-cities but China is now producing over half the world's solar panels and is said to be nearing a breakthrough in the production and storage of solar electricity. The next stage is establishing a new generation of green power stations in the world's sunniest continent: Africa. China also produces about 40% of the world's electrically powered high-speed trains and 20% of its wind turbines. Hours after President Xi Jinping addressed the Paris conference on 30 November, he flew to Zimbabwe for glad-handing and on to South Africa for the Forum on China-Africa Cooperation. Since Beijing's economic rebalancing has depressed world commodity prices and shaken several African countries, Xi wanted to reassure his audience. Accordingly, its delegation to Johannesburg has come with funding for new transport and power projects. A week later, China will take over the chair of the Group of 20. Although it is still not a member of the World Trade Organisation, Beijing wants to use its G-20 leadership to push for a conclusion to the Doha round of trade reform negotiations – in the process having a jab at those rich countries and their agricultural subsidies which suppress the price of African farm products.